The very best in waterless cookware for optimum nutrition. 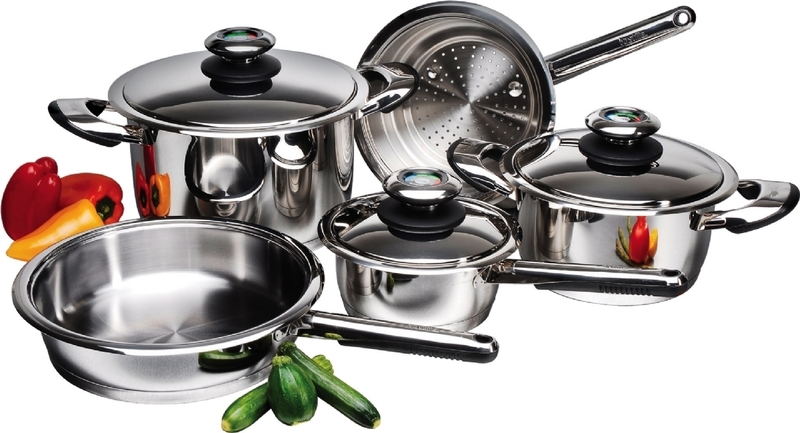 The unique, specially designed lids create a seal that prevent excess moisture from escaping in the form of steam, food cooks in its own moisture thus sealing in natural goodness and texture. This is known as EcoThermoTechnology. A precision built in thermometer helps you control temperature whilst the eight piece set is perfect to prepare almost any dish –from soups to casseroles. Preserve natural flavour and colour for the healthiest family meals. 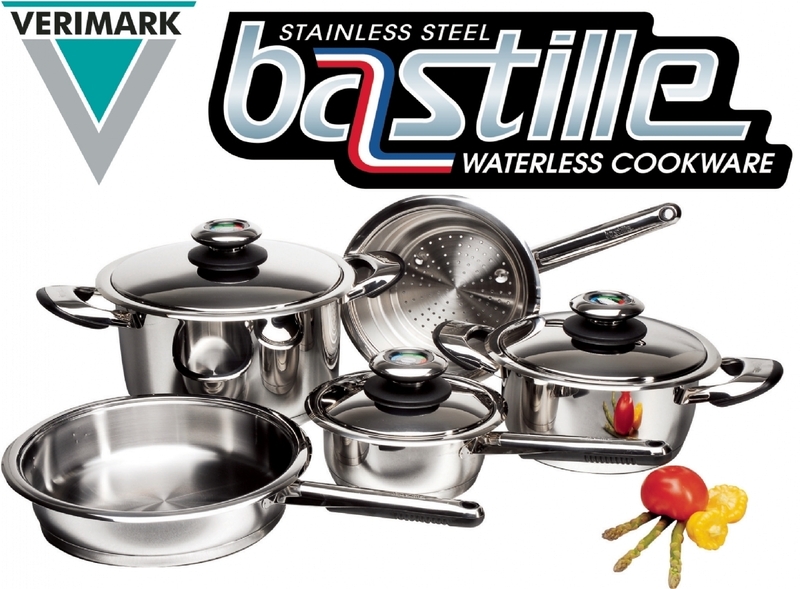 Seal in natural nutritional goodness with Bastille cookware, made from the highest quality stainless steel to the highest standards. Manufactured with 18/10 Chromium Nickel Stainless Steel, and top quality heat insulated handle material. It&apos;s no wonder that Bastille provides a lifetime guarantee on the stainless steel material and workmanship! Waterless cooking is easy and can take less time than conventional cooking, because heat energy isn&apos;t lost to water and is directly transferred to the food itself. Heat is evenly distributed, and with no burning or sticking, the pots and pans are much easier to clean. No oil is needed to prevent sticking making your favorite dish lower in fat and kilo joules. The thermostat knobs make it possible to easily and conveniently determine the cooking temperature, ensuring food no longer gets burnt.